Be the first to share your favorite memory, photo or story of David "Tink". This memorial page is dedicated for family, friends and future generations to celebrate the life of their loved one. 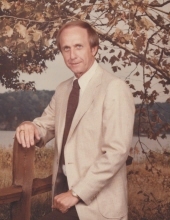 David “Tink” Hargrove, age 81 of Decatur, passed away on Monday, February 4, 2019 at Decatur Morgan Hospital. Mr. Hargrove was born July 23, 1937 in Limestone County to George Hargrove and Majorie Hood. Services for Mr. Hargrove will be held Saturday, February 9, 2019 at 2:00 p.m. at Hobbs Street Church of Christ with Bill Irby officiating. Visitation will be from 12:00 until 1:45 p.m. prior to the service. Burial will be in Roselawn Cemetery. Preceded in death by his father; mother; baby sister, Barbara Sue; brothers, Horace “Gus” and Morris Dean; special brother-in-law, Rob Jones. He is survived by his wife, Patricia “Patsy”; sons, David and Brian; granddaughter, Destinee; step grandsons, Brad and Dustin Chambers; brothers, James (Dorothy), Larry (Shirley) and Billy (Jan); sisters, Delores Jones, Karen (Joe) Crumbley; several nieces and nephews. He loved his family and loved so much being together with them. He lived a life of service working with many programs with the Hobbs Street Church of Christ. His passion was helping others. He spent 18 years teaching and coaching little league, rec ball programs, most years 6 teams per year. He served two years on the Athens City Council and was instrumental in the Building of Athens Sportsplex. His career was 42 years at the Alabama Highway Department. He will be missed so much. Pallbearers are Michael Latimer, Scott Hargrove, Gary Hargrove, Ricky Hargrove, Brandon Crumbley and Troy Crumbley. Honorary Pallbearers are Alan Thornton, Malcolm Thornton, Bill Joe Anderson, Tony Anderson, James Biles, Lanny Hargrove, Brent Jones and Richard McElyea. In lieu of flowers contributions may be made to Hospice of Limestone County or the Library of the Hobbs Street Church. To send flowers or a remembrance gift to the family of David "Tink" Rowe Hargrove, please visit our Tribute Store. "Email Address" would like to share the life celebration of David "Tink" Rowe Hargrove. Click on the "link" to go to share a favorite memory or leave a condolence message for the family.